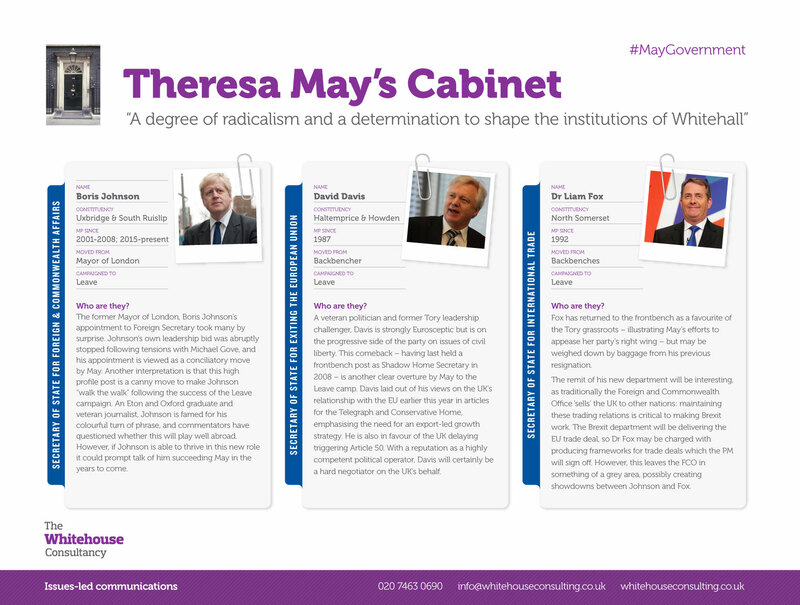 The new Prime Minister, Theresa May, has completed an extensive Cabinet reshuffle to stamp her authority on the Government. 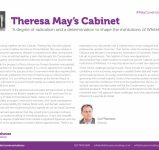 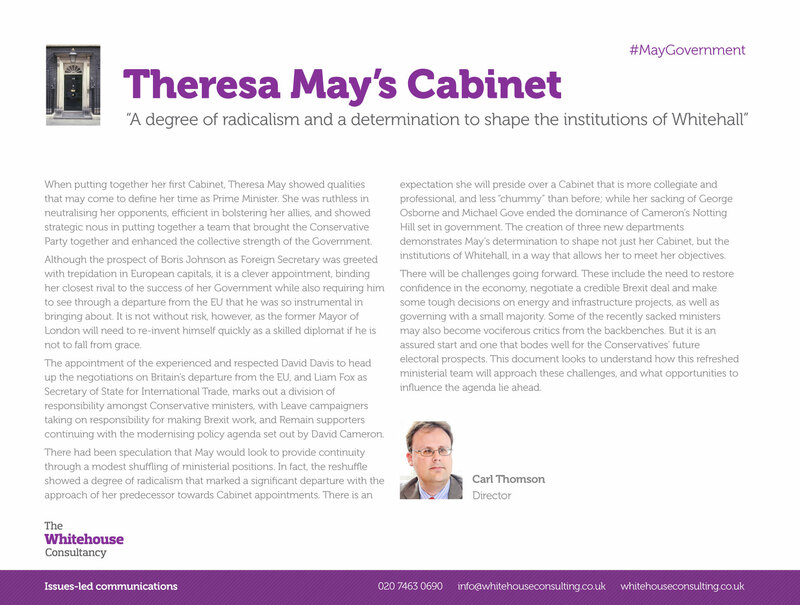 When putting together her first Cabinet, Theresa May has showed which qualities may come to define her time as Prime Minister: neutralising her opponents; promoting her allies; and putting together a team that will hope to bring the Conservative Party together following the European Union referendum campaign. 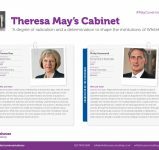 There had been speculation that Mrs May would look to provide continuity through modest changes to ministerial positions. 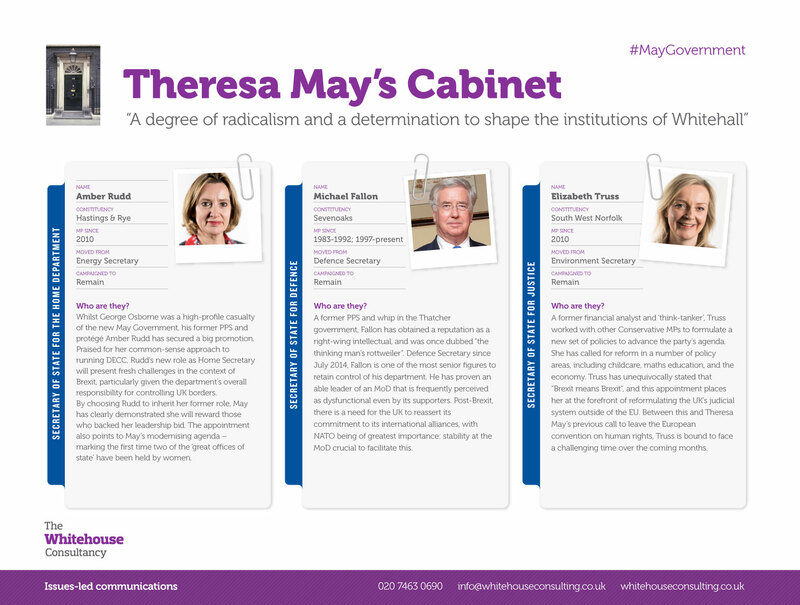 In fact, the reshuffle showed a degree of radicalism that marked a significant departure with the approach of her predecessor towards Cabinet appointments. 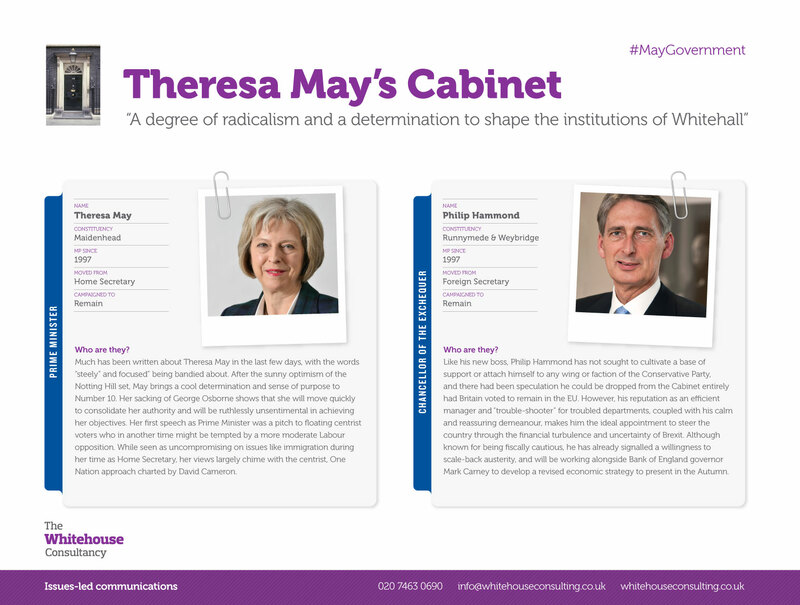 There is an expectation she will preside over a Cabinet that is more collegiate – while the creation of three new departments demonstrates her determination to shape not just her Cabinet, but the institutions of Whitehall themselves. 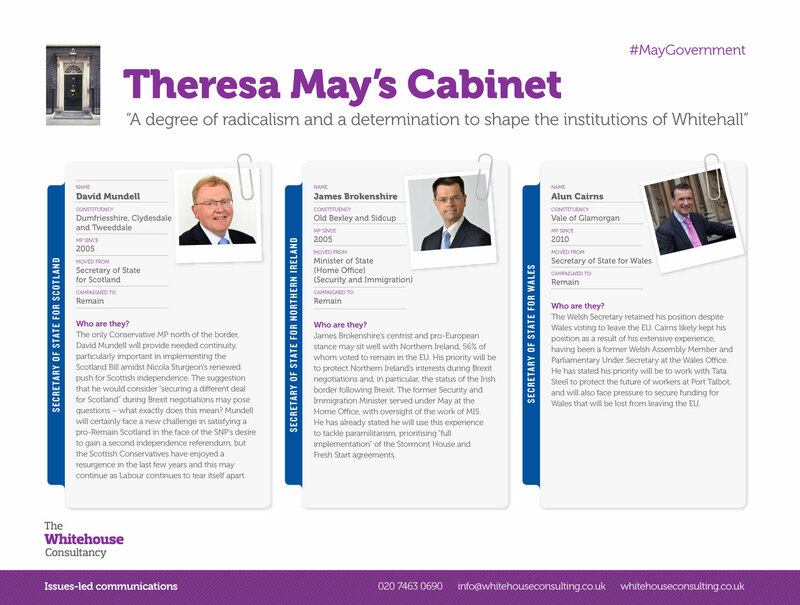 There will be challenges going forward – including the need to restore confidence in the economy, negotiate a credible ‘Brexit’ deal and make some difficult decisions on publicly-funded projects – but the reshuffle represents a confident start by the new Prime Minister, and one intended to enhance the Conservatives’ future electoral prospects. 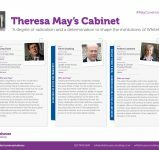 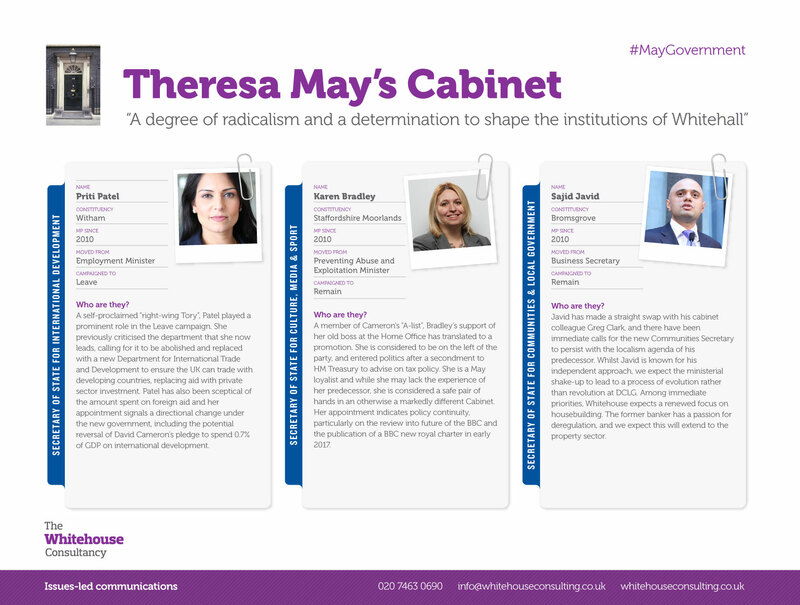 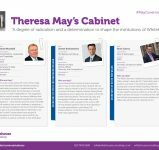 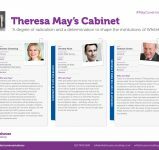 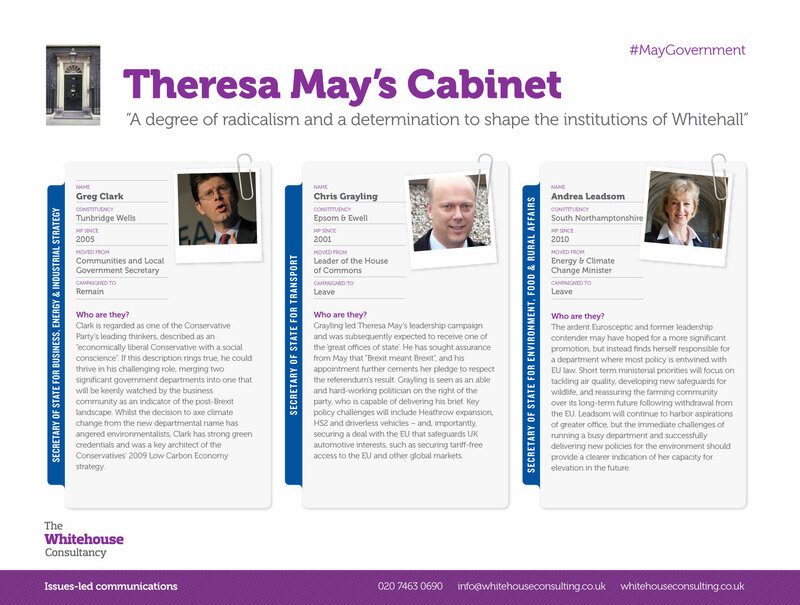 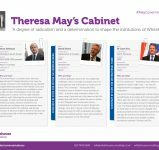 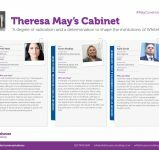 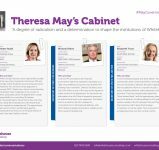 To view our full analysis of how this refreshed ministerial team will approach these challenges, please click here or view the images below.